Description: White crown cap. Cream logo of person with wings in relief. 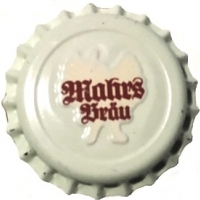 Brown text: Mahrs Bräu.